In South Australia, approximately 3 percent of registered vehicles are motorcycles, yet motorcyclists account for around 14 percent of road fatalities. To survive as a motorcyclist, you need to be highly skilled and extremely aware and know your machine's capabilities and limitations. You need to ride within your capabilities and the capabilities of other road users around you. How many of these safer riding skills do you have? It's a good idea to always expect the unexpected and be prepared to stop. Scan traffic for other motorists; observe indicators, brake lights and cars running red/amber lights. Never assume all is safe. Approach intersections with caution, slow down and be prepared to stop, even if you have the right of way. Avoid travelling in a motorist's blind spot by positioning yourself where you can be easily seen. 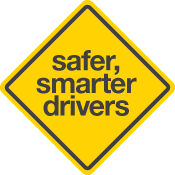 You need to be able to observe and anticipate drivers' actions. Never assume you have been seen. Wear visible clothing and ride with your lights on. By having a three second gap between you and the vehicle in front, or a four second gap if you are being tailgated and your concentration is to the rear, you will be able to react and act to avert disaster. Do a head check as well as looking in the mirrors when changing lanes or merging. Indicate before changing lanes. Speed limits are set at the highest speed you should travel, but it's vital to adjust your speed to suit the conditions. Between 2007-2011, nearly 22 percent of motorcyclist serious casualties had a blood alcohol level above the legal limit. Motorcycling requires 100 percent concentration, high level observation skills and the ability to react quickly - all of which will be affected if you have been drinking. Tyres should have ample tread and correct pressure. Brakes should work well and have correct fluid in the master cylinder. Brake lights and all other lights should be working. It is a good idea to have your bike serviced regularly making sure it is roadworthy, safe and reliable. Learn more about motorcycle anti-lock braking systems. The presence of a pillion passenger doubles the risk of fatality. Make sure that your pillion passenger knows the correct techniques for pillion riding and is wearing appropriate protective clothing and a helmet. One quarter of riders involved in fatal crashes were either unlicensed or disqualified (8%), did not hold an appropriate licence (11%) or had never held a licence (6%). Make sure that any person who borrows your bike is licensed, experienced and responsible. Five percent of motorcyclists who were either killed or seriously injured between 2007-2011 were not wearing a helmet. Helmets must meet the approved standard and must not be damaged. It's a good idea to replace them regularly. Gloves, jacket and boots designed for riding are essential for safety and comfort.